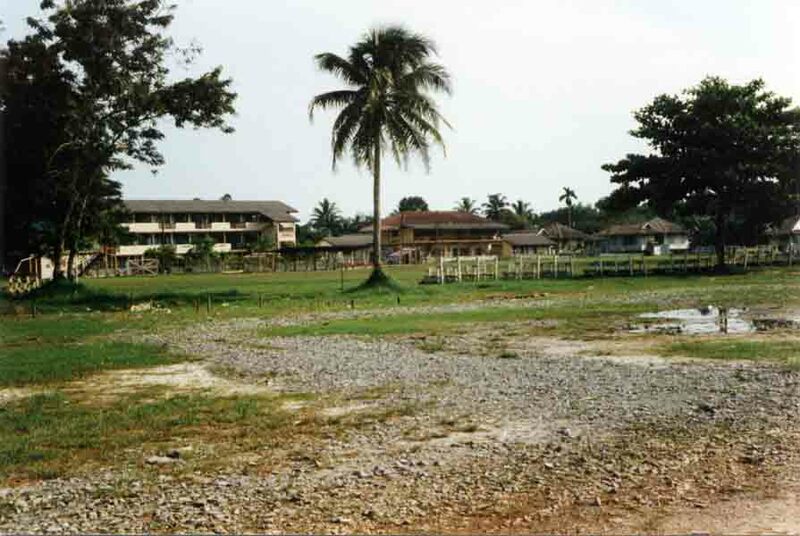 THE PADANG AT LUNDU AND IN THE FOREGROUND, THE SITE FORMERLY OCCUPIED BY GOVERNMENT CLASS IV QUARTERS, ONE OF WHICH WAS TENNANTED BY MEMBERS OF No. 1 TOPO TROOP, 84 SURVEY SQUADRON RE IN OCTOBER/NOVEMBER 1963. LUNDU, 1ST. DIVISION, SARAWAK.